Yves Delorme Paris, the French brand of luxury home linen, has been making exquisite linens since 1845. For Yves Delorme, sleep is one of the most important part of our daily lives and remains an essential element for our health and well-being. The luxury bedding collections of Yves Delorme are manufactured from the finest traditional linen, percale, cotton sateen, jacquard and sateen damask fabric. These offer luxurious softness, comfort and quality in every season; their fine materials characterised by their resistance to wear and their ease of care. 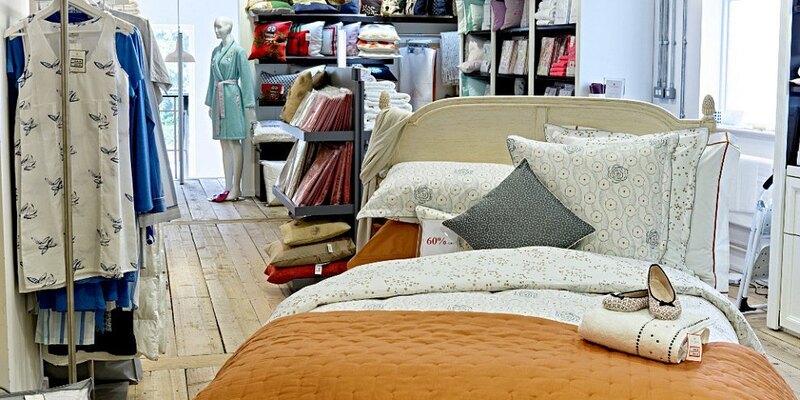 The Yves Delorme outlet offers discounts of up to 70% off RRP. At The Kilver Court store you can also find bed linen from Calvin Klein Home, Ralph Lauren Home and Hugo Boss Home. Yves Delorme believe that for the best possible comfort, luxury bed linens should be chosen carefully with attention to the materials used, colours available, and both the quality and durability of the fabric.